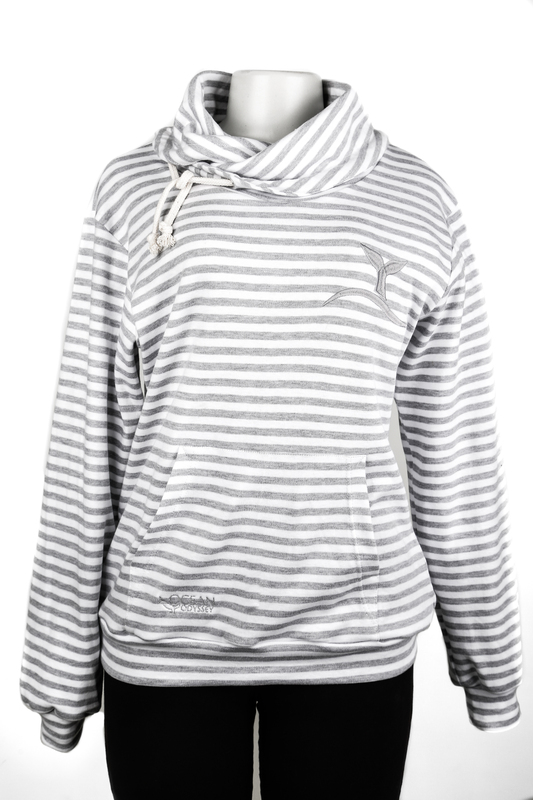 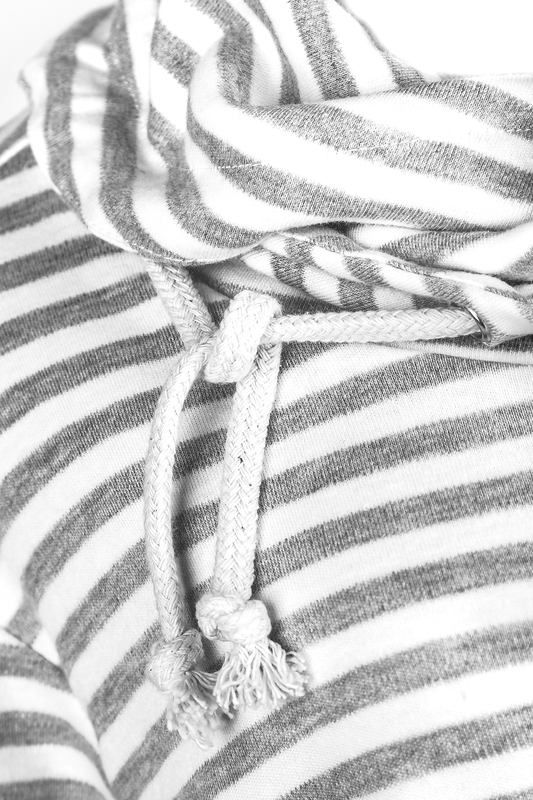 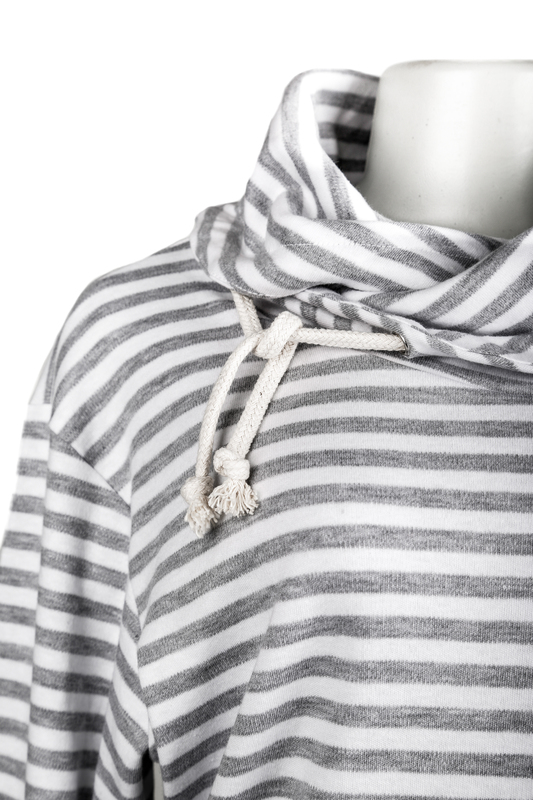 Grey and White striped cowl neck sweater with adjustable drawstrings. 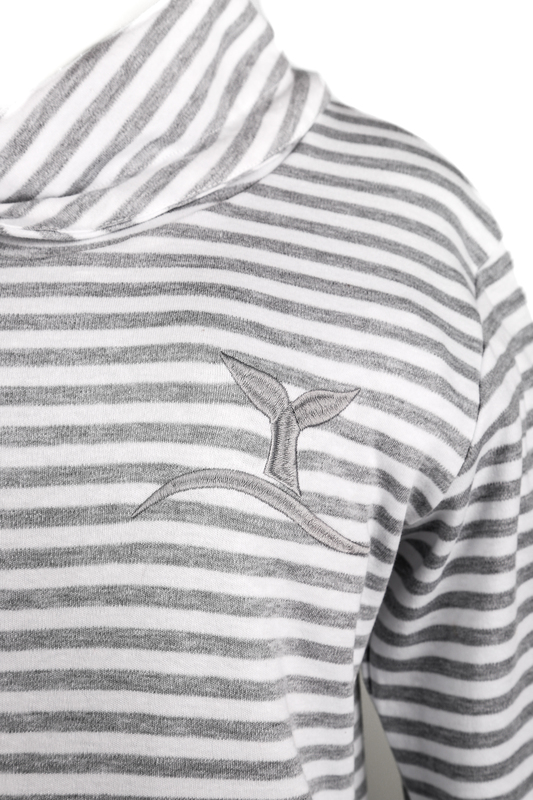 Silver embroided whale tail, top left side. 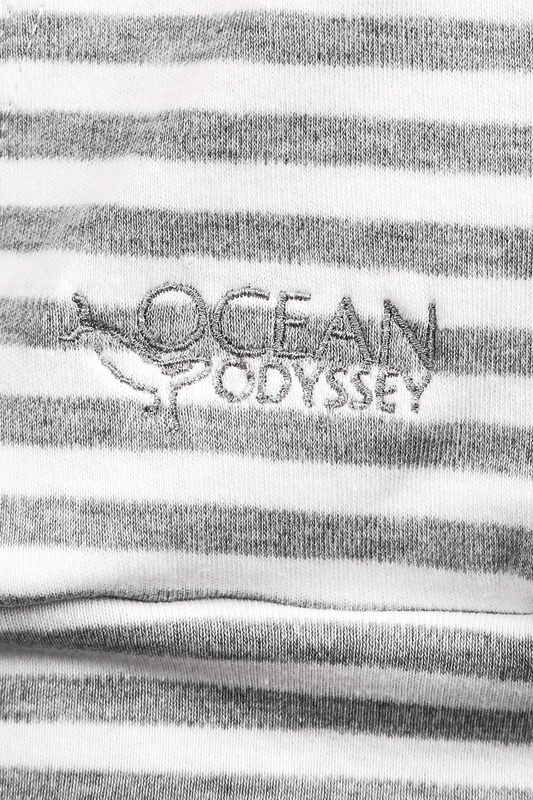 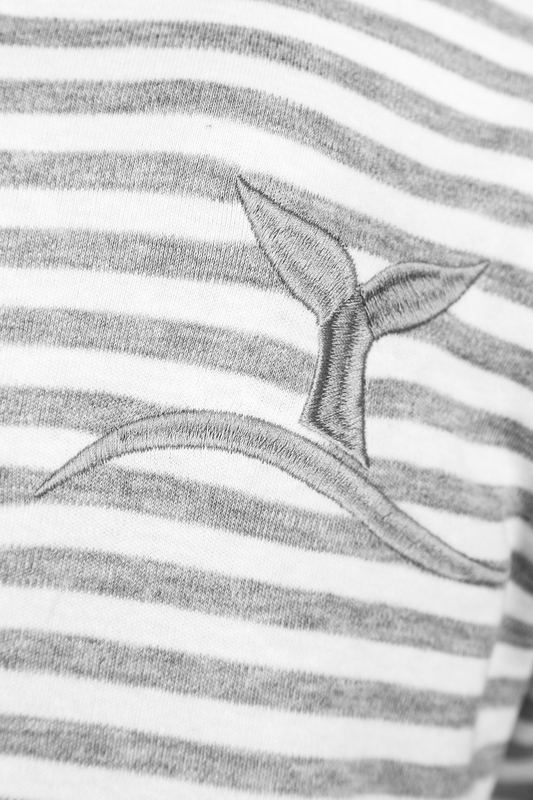 Kangaroo pockets with silver Ocean Odyssey logo embroided on the right side.